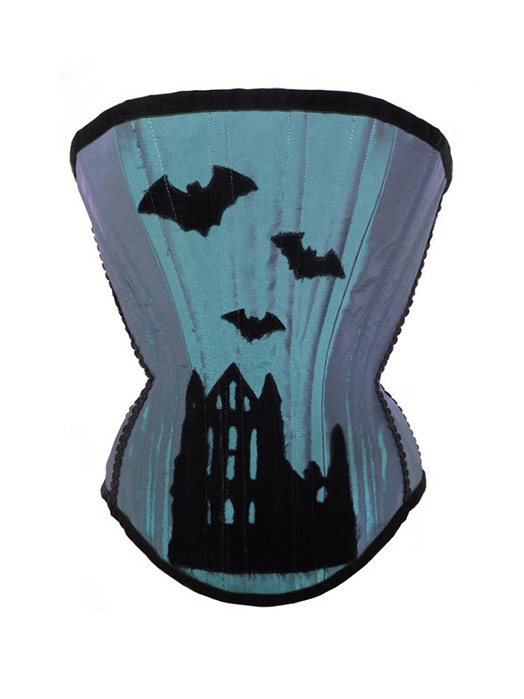 Whitby Abbey & Bats Motif Corset. 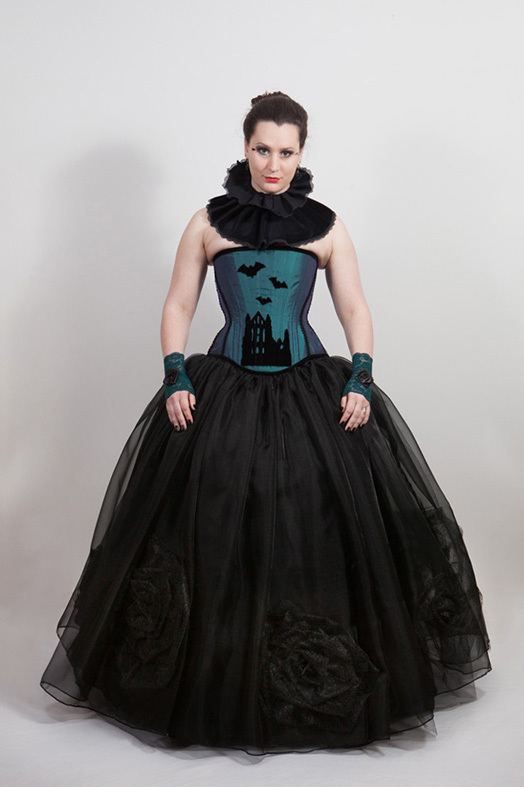 Two tone Taffeta in various colours - one pictured is green with purple sheen. 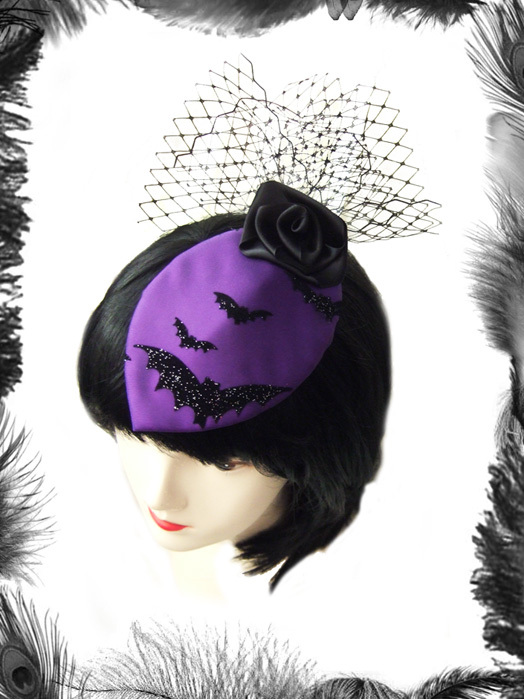 Motif is made from black velvet. Black braid trim on seams and black velvet binding.